Unit16 Reading. Step 1 lead-inlead-in Football: A Good Career Choice? 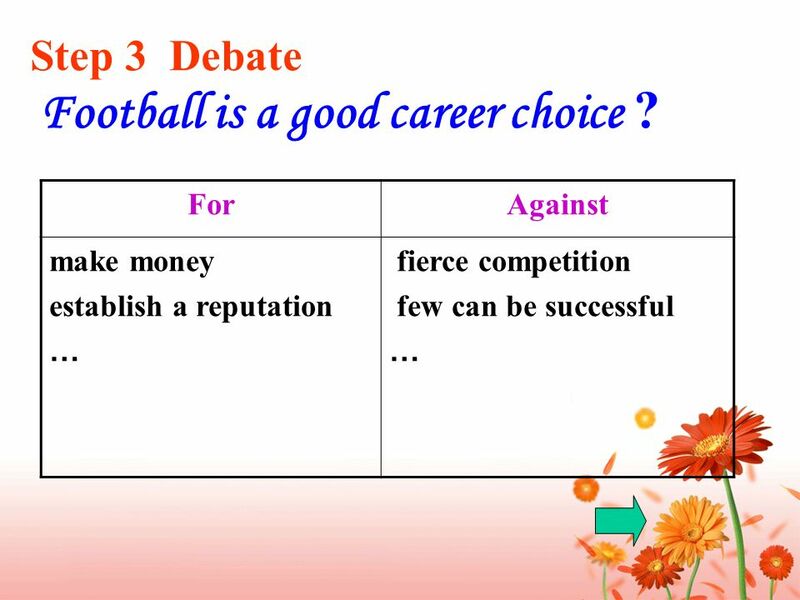 3 Football: A Good Career Choice? 6 2. In which order did the following things happen to David Beckham?. He was invited to join Manchester United as a trainee.. He was chosen to play for the Red Devils senior team.. He has become Englands most famous mid- field player and a world superstar.. He attended training sessions with a London club.. He and his players won the FA Youth Cup in 1992. A. B. C. D.
8 A. 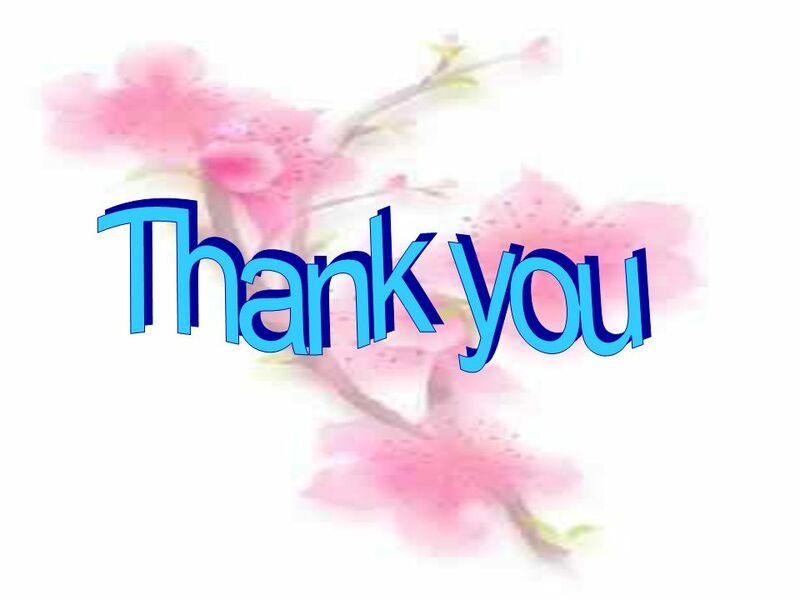 -- -- B. -- -- -- -- -- -- -- -- C. -- -- D. -- -- -- -- -- -- -- -- 5. 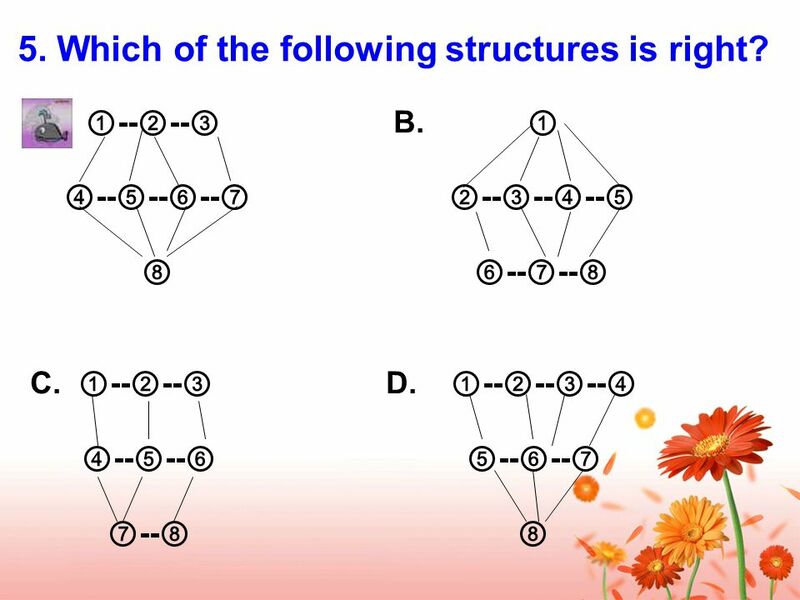 Which of the following structures is right? 12 Homework: 1. 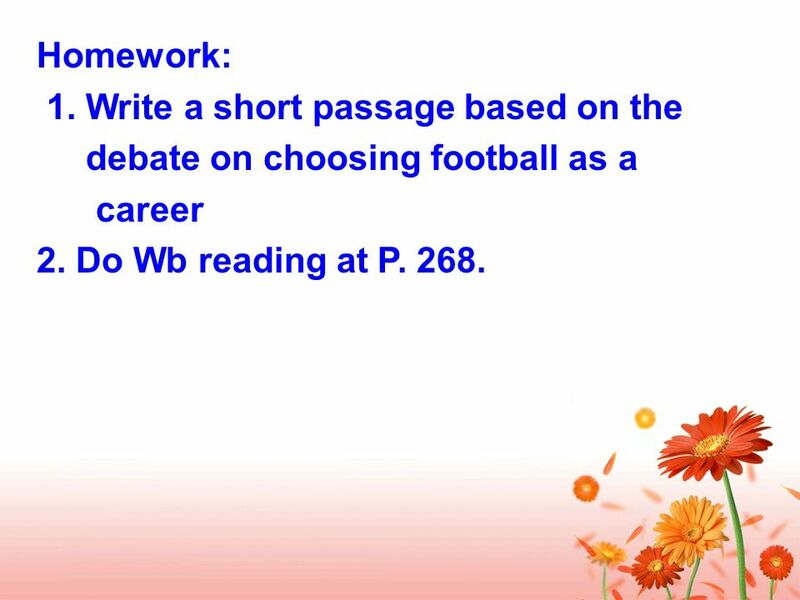 Write a short passage based on the debate on choosing football as a career 2. 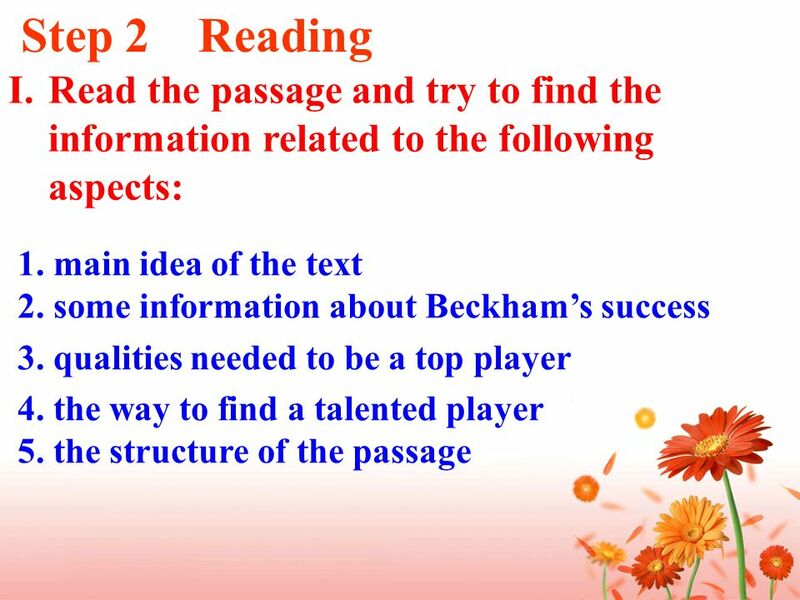 Do Wb reading at P. 268. 13 Step 4 Discussion: What would you like to do as your career in the future? And why? 14 Homework: 1. 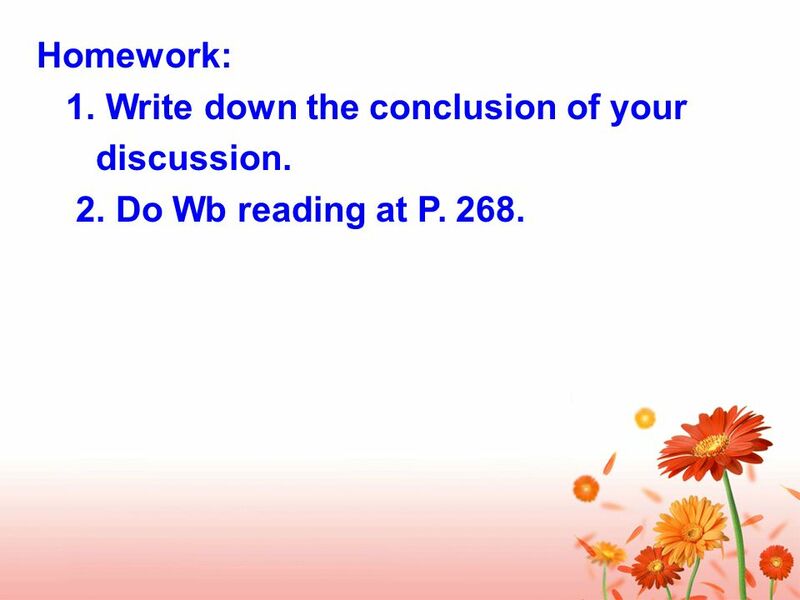 Write down the conclusion of your discussion. 2. Do Wb reading at P. 268. 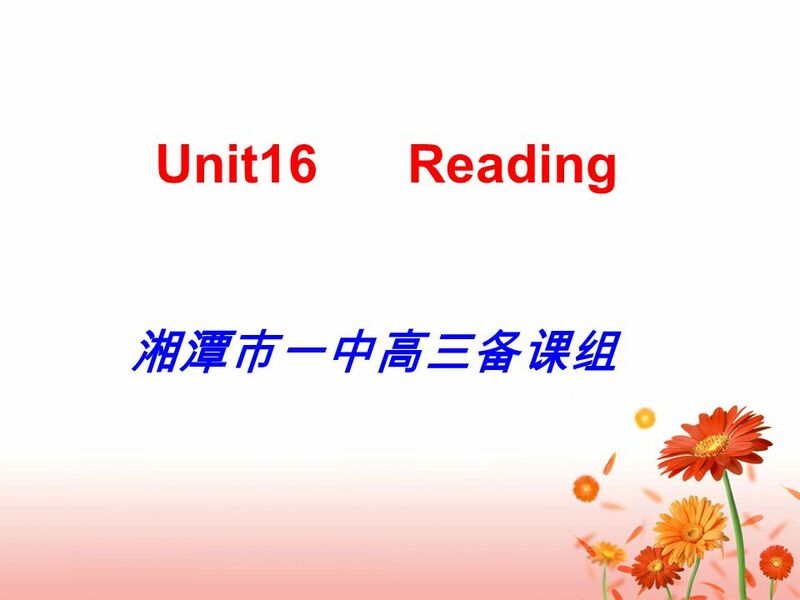 Download ppt "Unit16 Reading. 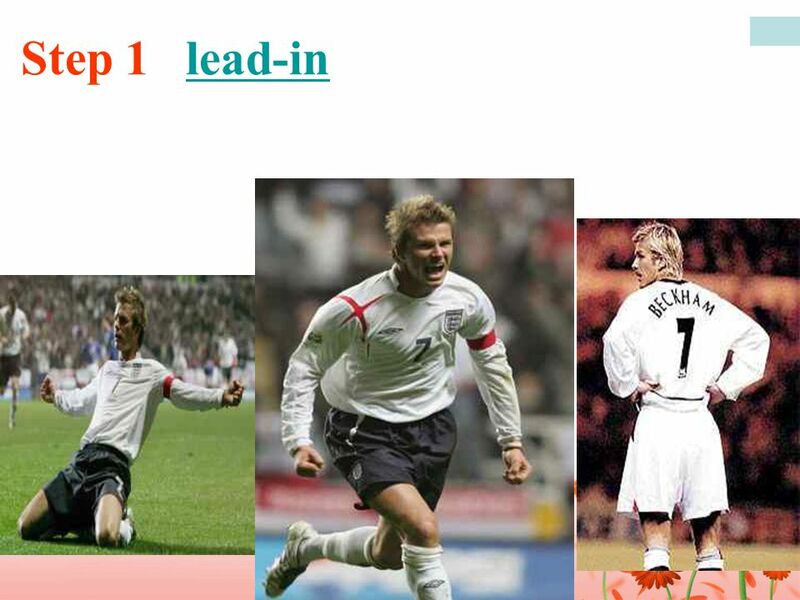 Step 1 lead-inlead-in Football: A Good Career Choice?" Can you name some occupations ? barber chef accountant adviser typist receptionist greengrocer astronaut actor architect butcher tailor carpenter clerk. Personal profile Name : David Robert Joseph Beckham OBE Date of birth: 02 May 1975 Birthplace: Leytonstone London Nationality: English Height : 180cm. WELCOME TO THE GAME GUESSING THE PICTURE To know who is in the picture, you have to answer four questions correctly in the other small pictures. 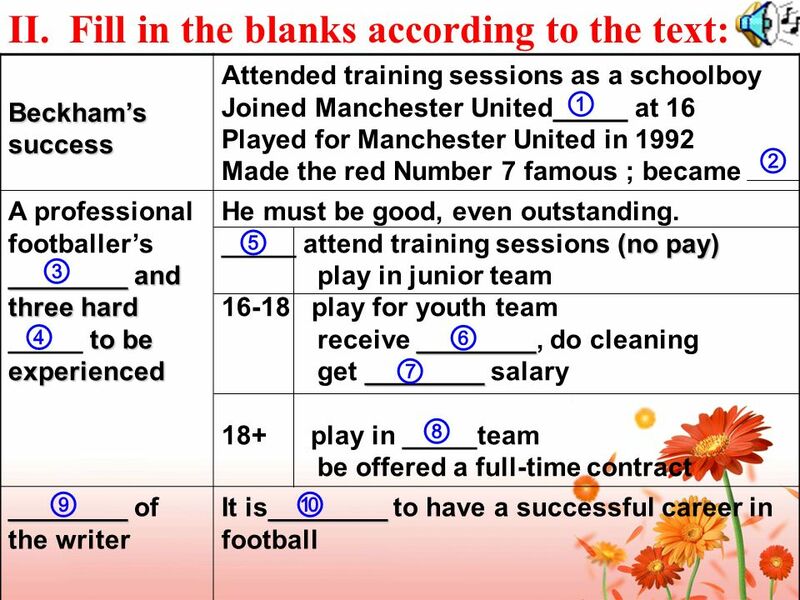 The 21 World Cup Questions Use the knowledge you and the members of your group have to answer these questions about the World Cup. The group who answers. Football The British developed and invented football. It is now played all over the world. In summer 2007 he moved from Madrid Atletico Madrid to Liverpool and a few months became the new hero of the English Premier League. Successful game at. Long-Term Athletic Development (LTAD) Why is Quality Training More Important than Playing Games? US Youth Soccer Coaching Committee 1. Teaching goals 1.Know the history and popularity of the basketball 2.Remember the new words : the Olympics, Canadian, divide basketball, hero 3.Understand. David Robert Joseph Beckham, (born May 2, 1975 in London in the district of Leytonstone) - English footballer currently playing as the right midfielder. Cristiano Ronaldo By: Mariam Jad Al-Kareem 6E.. Who is the player? Cristiano Ronaldo Dos Santos Aveiro. Ronaldo was born February 5 th Ronaldo is. QUESTIONS WHEN DID THE PREMIER LEAGUE START, AND WHY? WHAT IS SOHO KNOWN FOR? Professional Football Player Lionel Messi By: Dana. What is Sponsorship?. Sponsorship is when a company gives money to a sport in return for advertising their name with an individual team, sport or sporting. Kaka Done By : Shamma Al-Hitmi 6D. 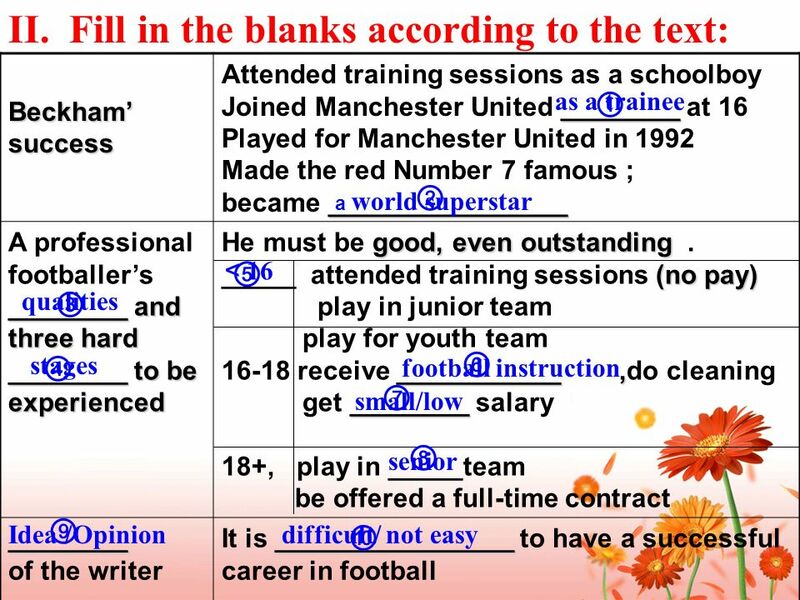 Who is the player? 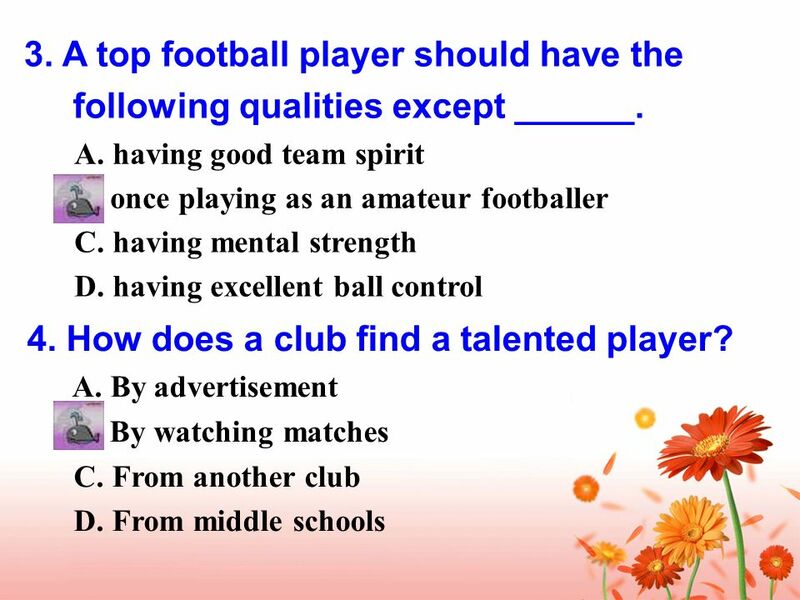 I chose a player that has great skills and im willing to tell about the player. His full name is.